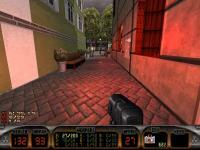 Do you want to play Duke Nukem 3D: 20th Anniversary World Tour with the conveniences of the best port of the game, EDuke32? Look no further. 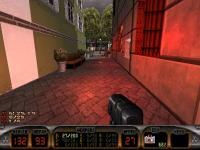 Download the latest build of EDuke32 and my drop-in stopgap, and extract everything to your World Tour folder, usually "C:\Program Files (x86)\Steam\SteamApps\common\Duke Nukem 3D Twentieth Anniversary World Tour", or wherever you have installed the game. Then you can run eduke32.exe! For the time being, normal maps only work with `r_pr_artmapping 0`, for the same reason texture filtering is incompatible with the artmapping feature. The original game is completely playable with the new additions. The new episode is mostly playable. I am not interested in spending the time implementing the Incinerator or the new projectiles used by the Firefly and final boss. I welcome contributions if they meet my standards. I also welcome any and all feedback. I have not actually played the new episode beyond part of the first level, and the final boss level. By all means, spread the word. All of the World Tour CONs, including the new enemy, boss, and minibosses. Lee's new renders of the original music. 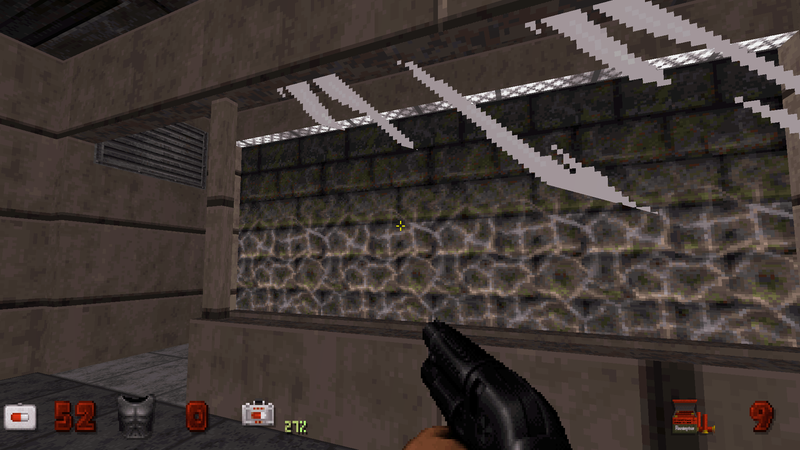 Polymer lighting added by the original mappers. 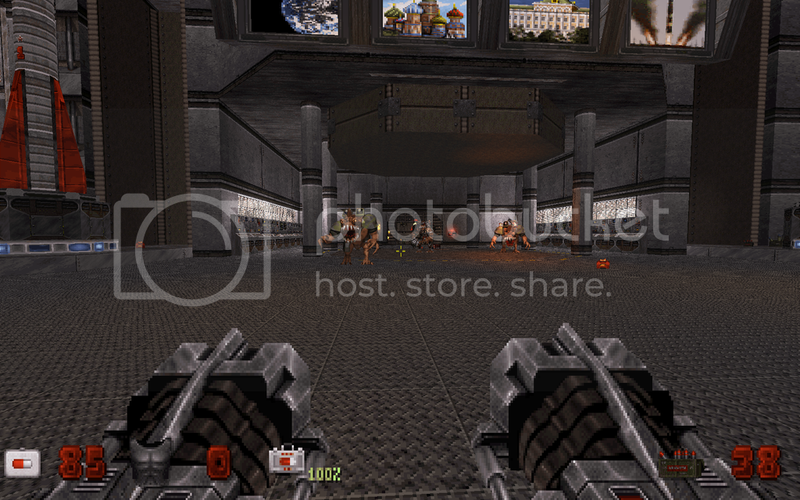 Widescreen weapons and status bar. New touchplate settings: pal 2 is co-op only, and pal 3 is Dukematch-only. This is in addition to pal 1 being single-player only. Some Alien World Order maps cannot be completed in EDuke32 without my code to take care of this. The new cstat bits used by World Tour to "ignore lighting and SSAO effects" are scrubbed so our engine doesn't interpret them using our meanings. - Startup errors are gone. This is excellent! - OGGs play without crashing the game. - Commentary sprites are still shown ingame by default (at least for me). - Incinerator/Firefly: Still malfunctioning (as stated in your description). Maybe something is conflicting with your build. "setvar commentary 0" should hide and disable the feature, and "setvar commentary 1" should be fully working. I seem to have a glitch though, in the video settings, if I try to go for "fullscreen = no" I can't apply the setting (it gets blue-ed as if I didn't change anything). alt+enter doesn't seem to work either. You may need to decrease the resolution. When in doubt, use the console vidmode command. Right, it seems to it won't let me go windowed when using 16/9 resolutions, only 4/3, it is just me (my computer)? edit : no, depends on the resolution. My native screen is 1920*1080 but through the menu it won't let go 1440*990 windowed for some reasons. Anyway this isn't a big deal, just saying, can't even tell if the glitch is due to my computer. Edit2 : I have to say that it's a pleasure to play with true widescreen, non fucked up sound quality, better mouse movement and using "setvoice var 2"
Edit 4: It also seems like both of these have the same HP value as full-on bosses. IIRC it takes about 5-6 RPG rockets to kill a mini-Overlord in World Tour, but a lot more here. There are some big bosses that don't end the episode. It seems that the only difference is that the big Overlord (left one in the 2 screenshots) doesn't have the right size, as it appears small too in EDuke32. I got it wrong with the HP values, they are correct, I got confused because both ended up mini-sized. It's good to have the left Overlord appear big like in Wold Tour because it is a visual cue of the HP difference. I'll make sure to test more toroughly before reporting anything else. After implementing your files properly, everything works as intended (besides the remaining issues you mentioned). It's already quite playable even without the Incinerator and Firefly working, so I guess it's time for an early replay of World Tour in EDuke32 tonight! I just noticed a visual glitch in Bloody Hell. However, I think it might be due to the map itself rather than to EDuke32, but I'm not sure because it behaves differently in World Tour so I'll report it anyway. Check the videos, you can see parts of the skies around some sprites depending on the angle (enemies, their projectile but also the fence at). This happens in Polymer but not in Classic. This issue looks familiar. I already encountered it in at least one of the Duke Hard maps. AFAIK there's little you can do about that, even though I don't know what's causing it. I'm not used to playing with polymer, is there any way to turn off the lights emitted from switches but just for switches? WT doesn't have those, and in Bloody Hell it gave away a secret switch which I hadn't even noticed in WT. I always hated those lights. You mean the switches one? Yeah, too bad you can't turn them off seperately, oh well. Anyway here is a test video in Mirrage Barrage for those of you who don't have time to test it yourself yet. No autoaim, setvar voice 2, polymer. Comparison screenshots of E5L1 with normal maps off/on in Polymer (r_pr_artmapping 0 to activate). The Battlelord at the end of Tour De Nukem was the size of a mini-BLord as well. Same for the one in Prima Arena. Gotta give credit where it's due, no one here ever thought to make 8-bit normals for the original art. That sentence even sounds outrageous now, but it works and is a nice mix with the classic pixel art and the "new" dynamic lights. Additionally, I didn't know that you can bring back anisotropic filtering in Polymer if you deactivate ART mapping (which improves image quality quite a bit). Always learning something! I just noticed the World Tour Automap has extra lines on it. It's most noticable in the Mirage Barrage maze section, where as on EDuke32 the lines on the maze are not there. I really haven't noticed any other issue so far, it's mostly just the missing Incinerator and Firefly at this point. It was tried when Polymer first came out. Noticed a bug: the skybox doesn't change inside the alien ship in the final part of Mirage Barrage. Works correctly in software mode. Unless I'm mistaken, BOSS5's main attack uses EXPLOSION2 (#1890 and on), but it doesn't appear here, is this something you're aware of? That's a known Polymer issue, only one parallaxed sky texture per map is used.